What I remember the most about that day was that it was completely ordinary. Then with one stupid decision everything fell apart and nothing was ever the same. Rae Wilder wants nothing but a do over—but life doesn’t work that way. She’s stuck living out the consequences of her actions. At times the burden feels unbearable. College is supposed to be her second chance. New place. New people. New life. No one to know what she did. Despite that, she has still vowed to avoid everyone and everything at all costs. Unfortunately for her, an accidental run-in with the campus heartthrob, Cade Montgomery, derails that plan. He’s determined to thaw the ice around her heart and expose the girl she used to be. 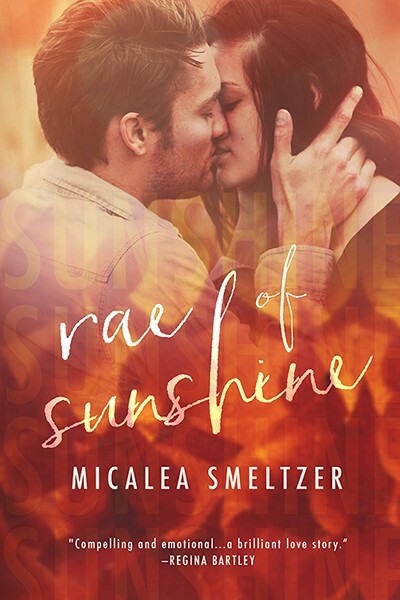 He wants to show her that life is worth living for and that she really is a Rae of Sunshine.